Throughout the game you will have timed choices. In the guide, I will mark these answers in the color purple. You have 10 seconds to give the right answer. For the right selection whipe with your fingers over the touchscreen. Start a new game. Nameselect, simply press START and confirm with the left option. From the Start menu go into CHAPTER (章選定) and choose the second tag (颯). From here select Chapter07 (第七章) Confirm with the left option. Choose the settings from the picture below. Press start and confirm with the left option. From the Start menu go into CHAPTER (章選定) and choose the second tag (颯). From here select Chapter05 (第五章) Confirm with the left option. Choose the settings from the picture below. Press start and confirm with the left option. From the Start menu go into CHAPTER (章選定) and choose the third tag (常盤). From here select Chapter07 (第七章) Confirm with the left option. Choose the settings from the picture below. Press start and confirm with the left option. From the Start menu go into CHAPTER (章選定) and choose the third tag (常盤). From here select Chapter04 (第四章) Confirm with the left option. Choose the settings from the picture below. Press start and confirm with the left option. From the Start menu go into CHAPTER (章選定) and choose the fourth tag (礎奏太). From here select Chapter06 (第六章) Confirm with the left option. Choose the settings from the picture below. Press start and confirm with the left option. 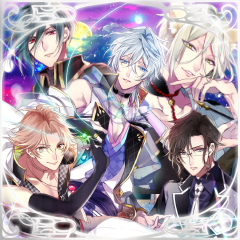 From the Start menu go into CHAPTER (章選定) and choose the fifth tag (宵宮). From here select Chapter06 (第六章) Confirm with the left option. Choose the settings from the picture below. Press start and confirm with the left option. 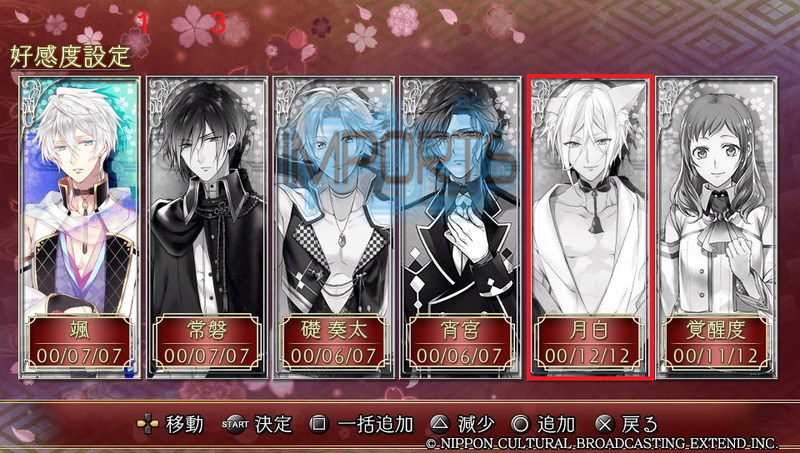 From the Start menu go into CHAPTER (章選定) and choose the last tag (月白). From here select Chapter06 (第六章) Confirm with the left option. Choose the settings from the picture below. Press start and confirm with the left option. From the Start menu go into CHAPTER (章選定) and choose the last tag (月白). From here select Chapter05 (第五章) Confirm with the left option. Choose the settings from the picture below. Press start and confirm with the left option. From the Start menu go into CHAPTER (章選定) and choose the first tag (共通). From here select Chapter09 (第九章) Confirm with the left option. Choose the settings from the picture below. Press start and confirm with the left option. 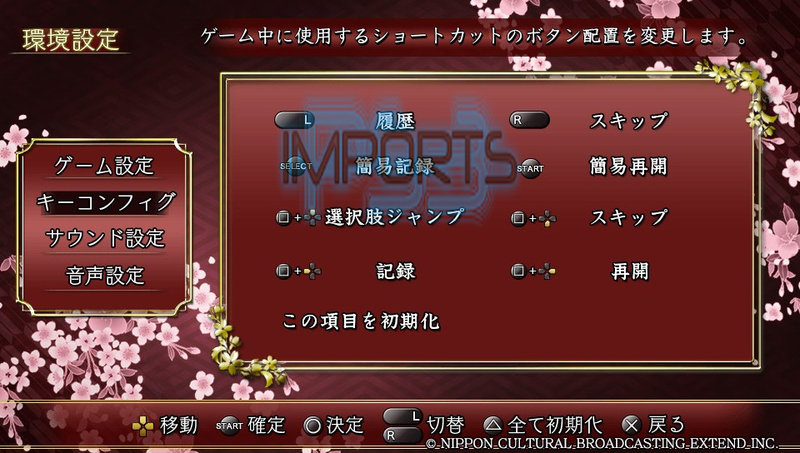 From the Start menu go into BONUS (おまけ) and choose the last option (スペシャル) . Now play the storypart from the pictur below. From the Start menu go into CHAPTER (章選定) and choose the first tag (共通). From here select Chapter02 (第二章) Confirm with the left option. Choose the settings from the picture below. Press start and confirm with the left option. 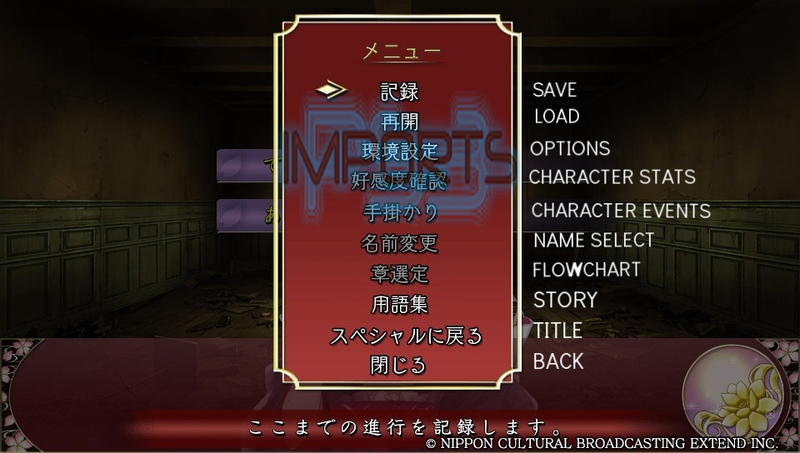 From the Start menu go into BONUS (おまけ) and choose the last option (スペシャル). Now play every shortstory. Hm... I don´t know. Maybe 3 hours. Thanks for the guide; plat in 2h 10min while fishing in FFXIV. If fully focusing on the game, should be able to clear it under 2 hours. 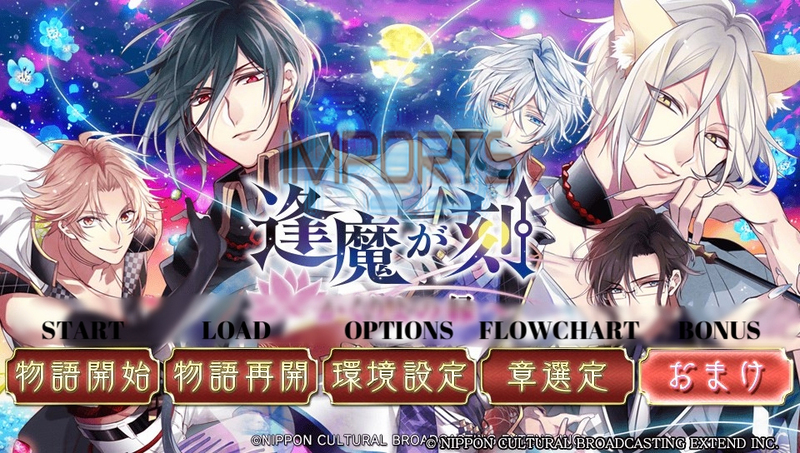 thanks for guide, as for title its kakuriyo no enishi if you're not sure about name of a VN check VNDB. Thanks for your tip. My source was Play-Asia. And an import shop jap games does make any mistakes. 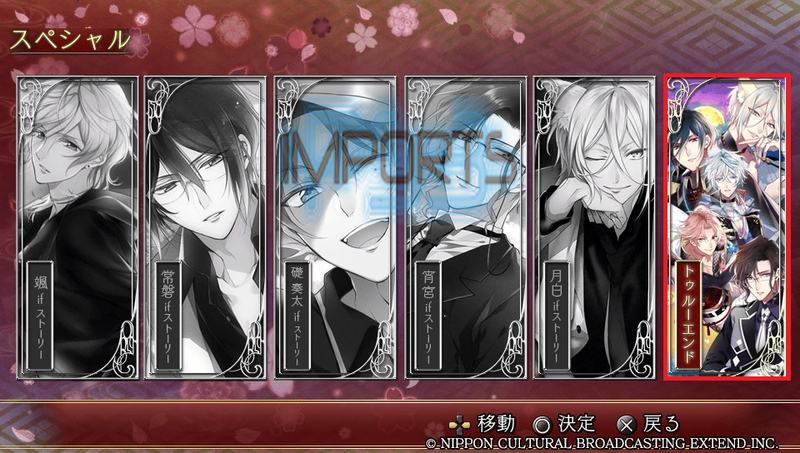 Other common 'kun' readings are heri, yukari, yoru, yosuga; it seems that different websites are using either fuchi or enishi for this game. EDIT: OK this is the wrong picture in the guide. And another mistake. This is Chapter03 and not Chapter02. I don't understand the settings in the pictures. I can only change the first number but that doesn't help because I also have to change the other two. Does somebody know the problem and can help?